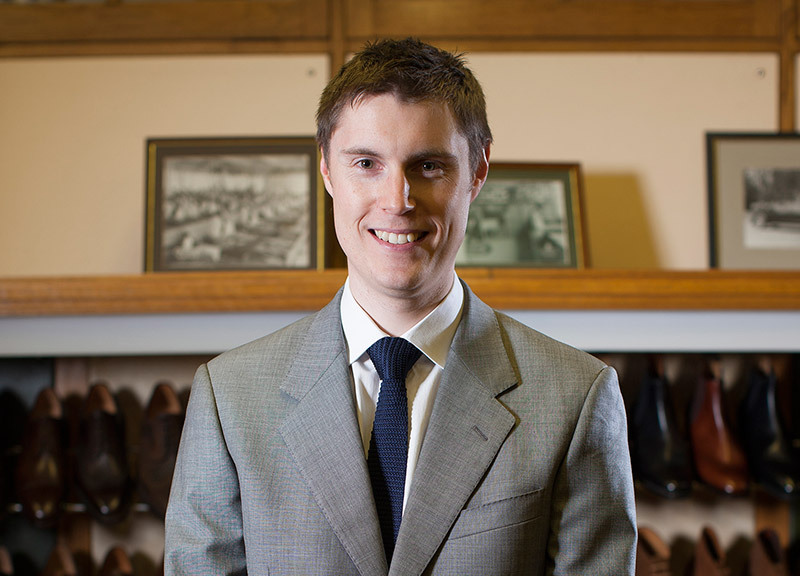 In this third article we ask James Fox, Marketing Manager of Crockett & Jones about the production of the Crockett & Jones shoes seen in SkyFall and SPECTRE. 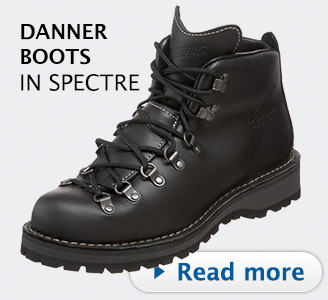 Worn by: James Bond (Daniel Craig) wears several Crockett & Jones shoes in SkyFall and SPECTRE. Trivia: Crockett & Jones are also worn in the movies A Long Way Down, King Speech, Kingsman (the boots), Mission Impossible, The Man from U.N.C.L.E. … and a few more! 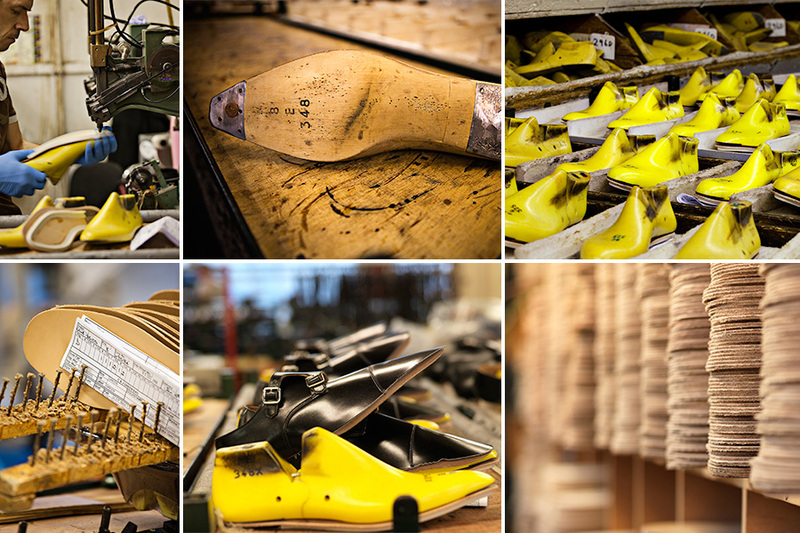 Can you tell us about the history of Crockett & Jones? 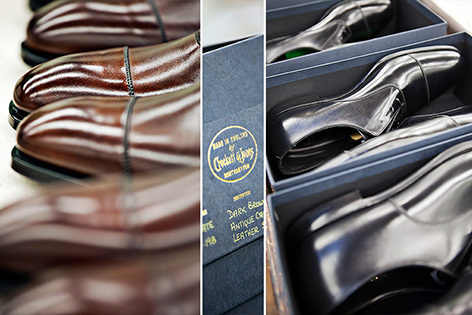 Crockett & Jones was founded in 1879, in Northampton, by Charles Jones and his brother-in-law, James Crockett. 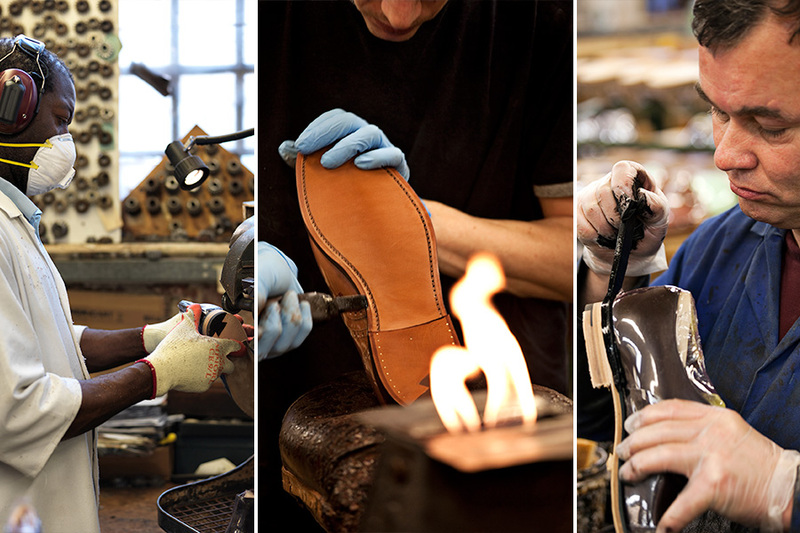 Northampton had always been renowned for shoe making in England since the middle ages; starting as a centre for tanning. The abundance of local oak forests provided the oak bark, which was considered the best tanning material at the time and the River Nene was the source of water for this process. The central location of Northampton, en-route to London, gave the town good communications and enabled the tanners to obtain hides from the butchers with ease. After this it wasn’t long before shoe makers naturally gathered where leather was readily available, working out of their homes and in small workshops. By the time that Crockett & Jones was established, shoe makers had begun to join together to open small factories using new machinery that had been developed specifically for the shoe industry during the Industrial Revolution. The first Crockett & Jones factory in 1879 was a small building in Carey Street, Northampton with 20 employees. The business was successful and expanded rapidly. In the 1890’s the 2nd generation (Harry Crockett and Frank Jones) began to integrate new machinery, which was invented by Charles Goodyear from the USA for stitching the uppers, welts and soles together. This made the process much easier, and faster, and gave rise to the name for the superior construction process that we continue to use today, called ‘Goodyear Welted’. 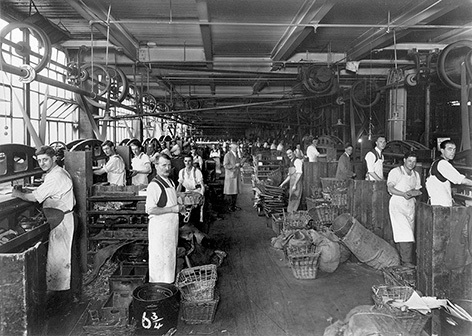 Towards the turn of the century James Crockett and Charles Jones recognised the need to find a larger factory for continued expansion of the business. 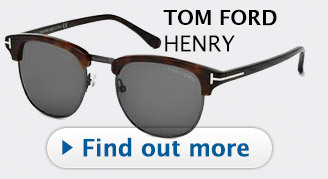 In 1897 they bought a new factory in Perry Street, which Crockett & Jones still occupy today. Around this time most of the shoes were sold in the home market but the company was also exporting a significant volume through-out the world to: Australia, Argentina, Europe, New Zealand, South Africa, USA and the Far East. In 1911 Percy Jones, the brother of Frank Jones, joined the company – this was to be the start of a long serving, 67 year partnership in the business. In 1914 Crockett & Jones footwear was used for the 2nd time on a Shackleton Polar expedition thus emphasising the excellent quality of the shoes and their construction. 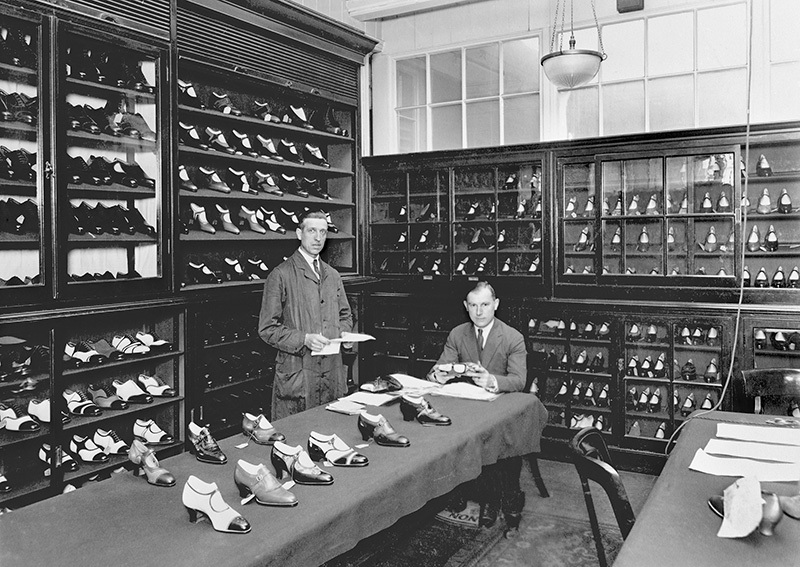 In 1924 Crockett & Jones was honoured with Royal Patronage; a visit to the factory in Perry Street by H.R.H The Duke of York (later King George VI) who paid great attention to the shoe making process on his tour around the factory. This visit sparked much national press interest and people crowded the streets to get a glimpse of The Duke. In 1927 Gilbert Jones, the son of Frank Jones, started at Crockett & Jones becoming the 3rd generation of the Jones family involved in running the business. 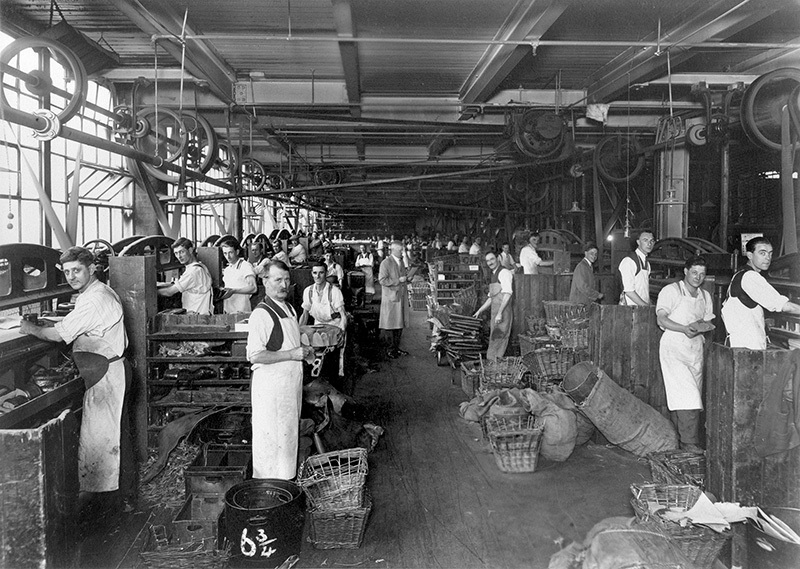 By this stage the company employed over 1000 people and production had reached record levels of 15,000 pairs per week; the majority of which were women’s shoes and boots. During the 2nd World War Crockett & Jones manufactured over a 1 million pairs for the armed forces. 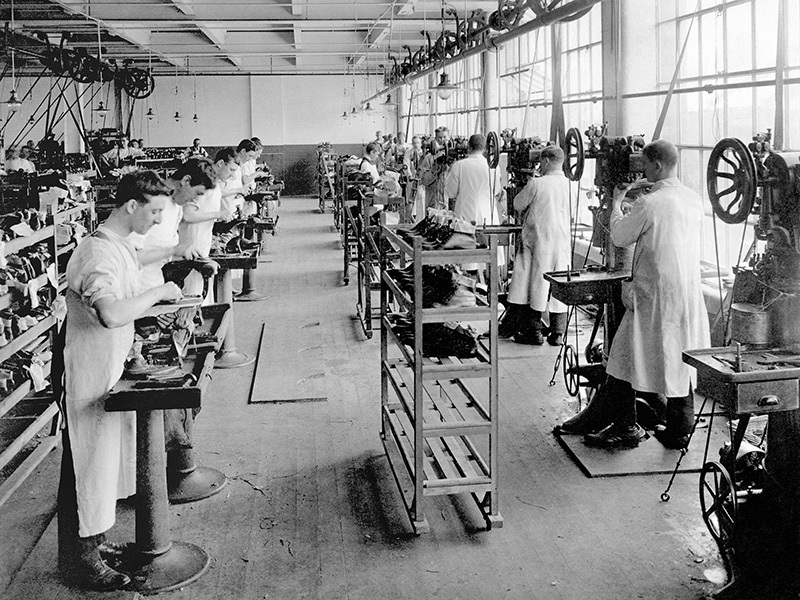 They were under instructions from the government to switch the majority of the production to military footwear; making officers’ shoes and boots for the army, navy and air force. To produce this volume many retired men and married women came back to work to join in the war effort. 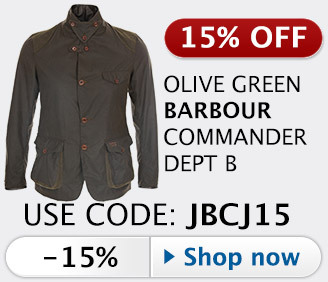 After the war in 1947 Richard Jones, son of Percy Jones and grandson of founder Charles Jones, joined the business. 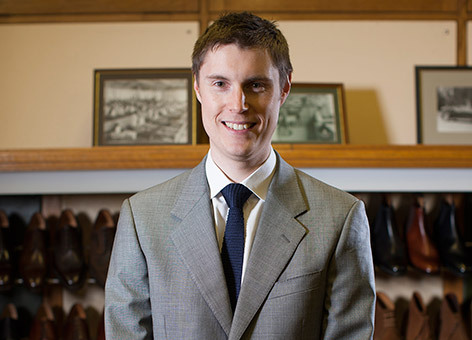 Today Richard is still involved as Chairman and imparts his vast knowledge of shoe making to everyone. Jonathan Jones, son of Richard Jones, joined the company in 1977, the same year that Richard was appointed Managing Director. At this time, a decision was taken to re-focus the business. From now onwards they would concentrate on producing men’s high quality Goodyear Welted footwear and developing export sales in Europe, USA and Japan. As the business began to build again over the next 15 years, exports reached 70% of the overall production and in 1990 Crockett & Jones was awarded the coveted Queens Award for Export Achievement. Crockett & Jones continued to supply some of the world’s best known “own label” collections but now as Managing Director, Jonathan also wanted to increase the ‘Crockett & Jones’ branded distribution. 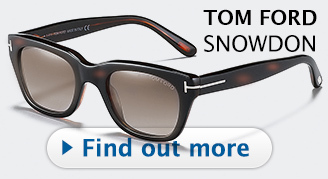 As part of this strategy it was decided to re-visit the company’s long standing interest in retail. In 1997 Crockett & Jones opened their 1st retail shop in Jermyn Street, London. Over the next 14 years another 10 retail shops and concessions were opened by Crockett & Jones across London, Birmingham, New York, Paris and Brussels. In 2004 the factory in Perry Street was designated as a Grade II listed building, in order to preserve the history of the shoe trade in Northampton. The building has, in fact, changed very little since the 1930’s. In 2005 Nicholas Jones, Jonathan’s brother, joined the company as Production Director and Jonathan, as Managing Director, concentrates on strategy, sales and development. In 2006 Philippa Jones, Jonathan’s daughter, started in the family business as the 5th generation of the Jones family. 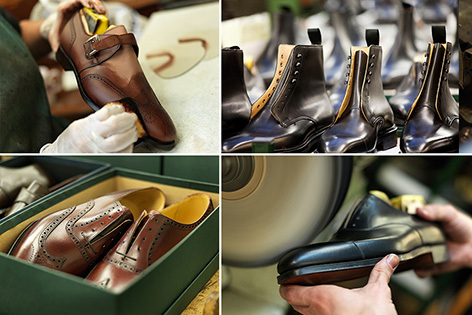 The fact that the business remains in the hands of the family who started it, ensures that the standards of the past are maintained today and lends a more personal touch to the fine shoes that they produce. What does Made in Britain mean in the case of Crockett & Jones? 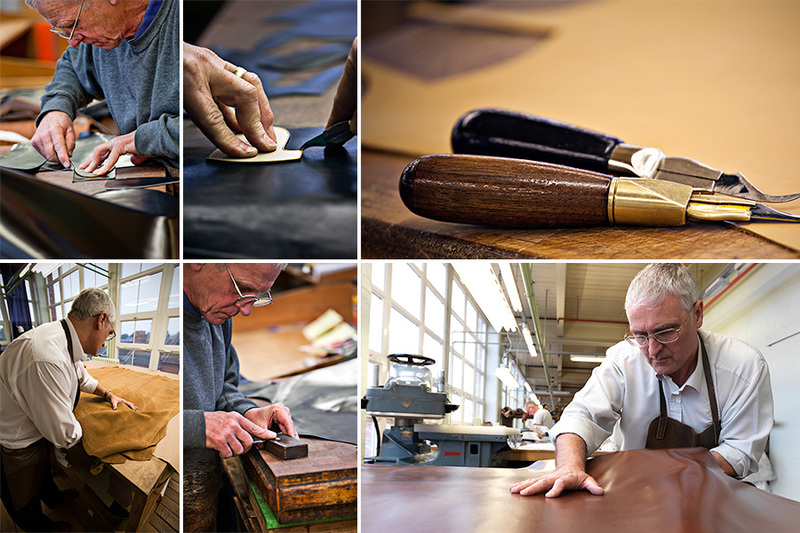 Made in England means everything to Crockett & Jones and rather a lot to many of our customers. Much of the shoe trade has gradually either been moved abroad and the product cheapened, or been so heavily affected by factories abroad that the brands no longer exist in England. 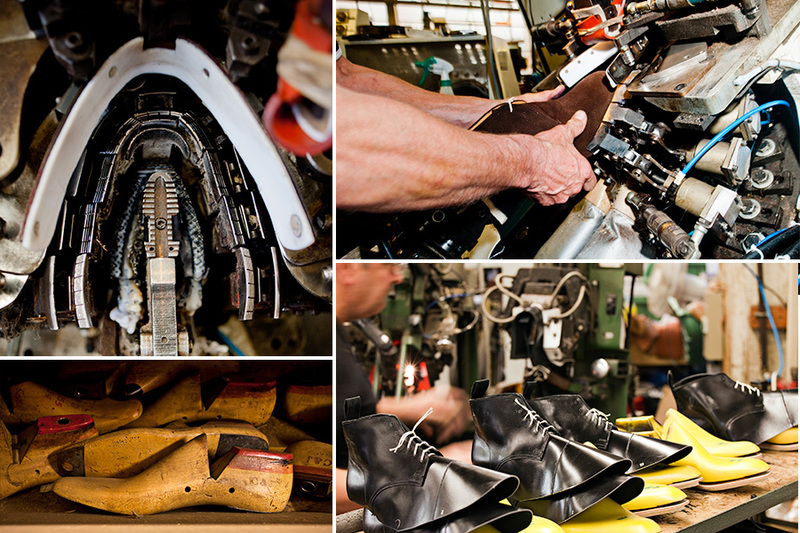 In the 1950’s there were roughly 50 shoe factories in Northampton Town making it a great industry, today there are just five. Of the five remaining, two are owned by luxury groups. 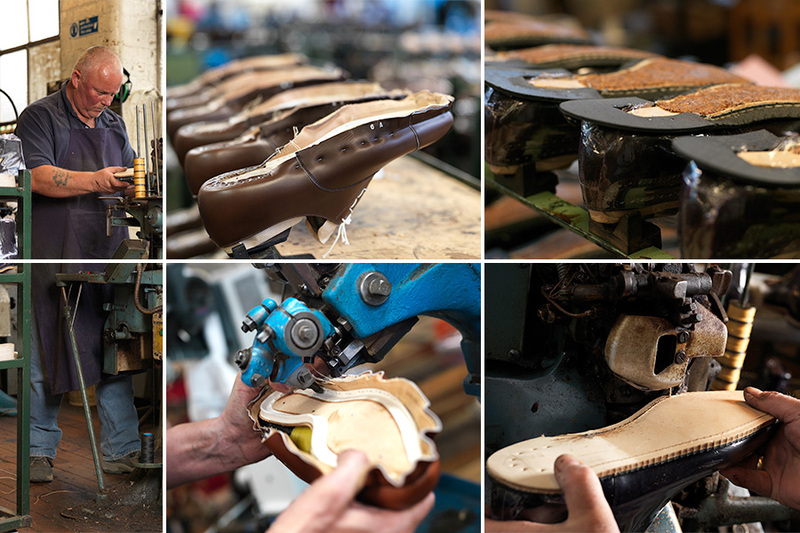 We are now the only family owned and managed Goodyear Welted shoe factory in England. Are Crockett & Jones shoes completely made in Britain? Absolutely, all of our Goodyear welted shoes are 100% made in our factory in Northampton, England. Our factory in Northampton houses our head office (and worldwide) operations where all Directors of the business tirelessly continue their work to ensure Crockett & Jones remains on the steady path that we find ourselves on today. 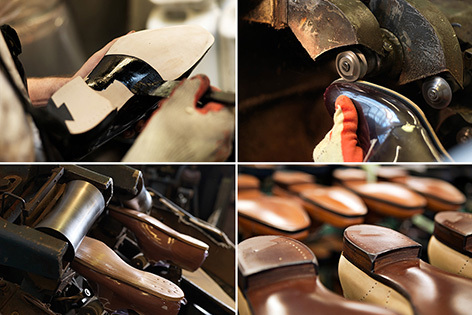 For the most part, Crockett & Jones is a manufacturer, and our Northampton factory (in England) is where the magic really happens. I often describe it as Charlies’ Chocolate factory for shoes! It comprises of eight departments in total: Pattern Cutting, Clicking, Closing, Preparation, Lasting, Making, Finishing and Shoe Room. I won’t take you through each one but if you are interested in finding out more about the working of a Goodyear welted shoe factory, and the level of skill that goes into each shoe, I recommend taking a few minutes to watch our In the Making video on our website. 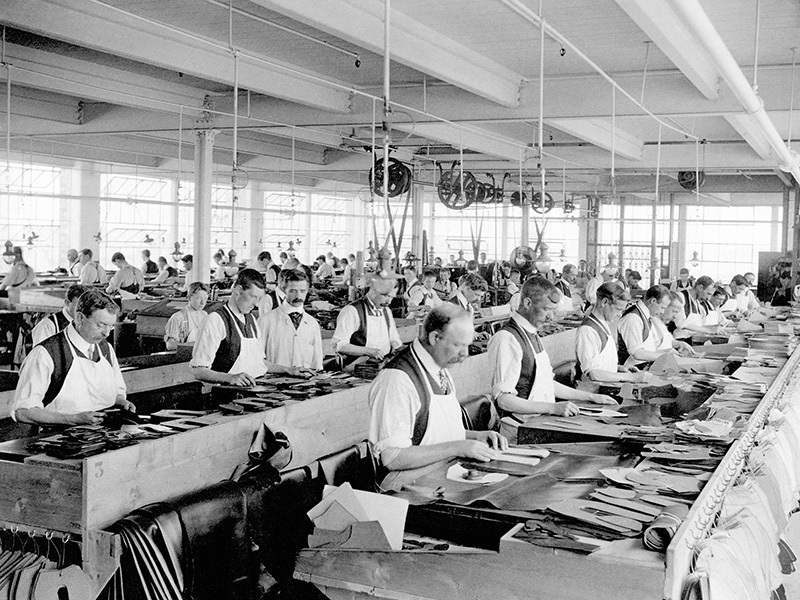 How many people are working at Crockett & Jones? We currently have about 300 staff in the factory, with another 100 or so across our retail, office and management staff. It is a busy environment to work in, and we seem to be growing each year. A rare success story in our trade that we are working very hard to continue. 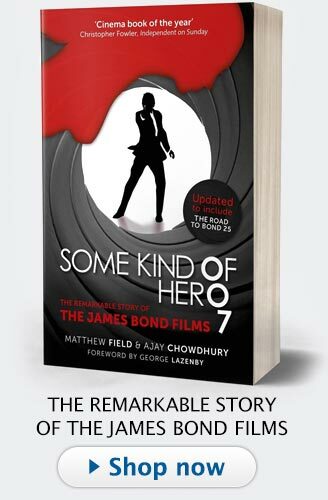 All of the styles that were chosen to feature in the James Bond films were existing styles, outlining the strength and depth of our current range. The newest style was Camberley and given that it is a Monk strap version of our famous Tetbury, we were not surprised to see them choose this style. The only style that we had to pull from our wholesale collection was Radnor, a Goodyear welted version of Snowdon (Veldtschoen construction). They wanted a Snowdon type boot, but given the demand from the previous film, there was no way we would have been able to produce the volume of Veldtschoen contructed boots (a complicated process), so they were happy to take the very sturdy Goodyear welted version instead - Radnor. 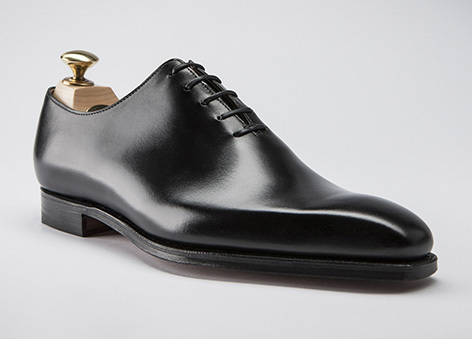 What makes the Crockett & Jones shoes stand out from its competition? 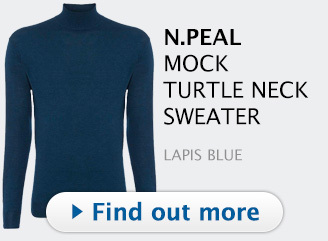 We do not have too many competitors around our price point. 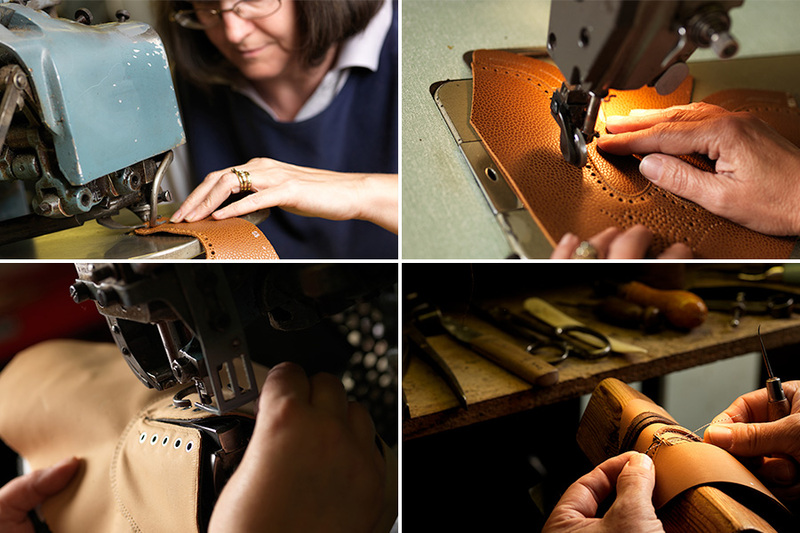 Given the volume of shoes (size of factory) that we are able to produce, we offer a very fairly priced product given the materials that we use to produce them (European Calf on the whole). Our Managing Director is extremely focused on this (offering value for money), and is defiant about continuing to use European Calf in the making of our shoes. To buy a pair of shoes at the quality of Crockett & Jones from another maker, you may need to pay £300 - £400 more. Ultimately, if you have highly skilled craftsmen and women and you use the highest quality materials available, the rest come down to experience of design, style and finally taste. Experienced, knowledgeable and highly skilled staff, but the ‘Made in England’ carries with it an incredible amount of respect. Business rates, factory running costs and availability of the skilled staff I mentioned above. As our industry has reduced, the number of skilled suppliers and skilled staff has also reduced. Casino Royale. 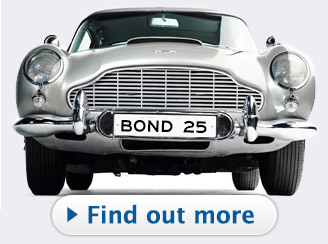 It is the epitome of everything I have grown up to love about James Bond. Daniel Craig. He has good taste in shoes! 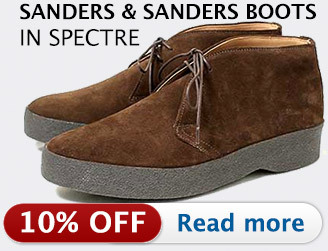 Bond Lifestyle wants to thank Crockett & Jones for their participation.